Mayor Ras J. Baraka announced that the City of Newark will partner with the Newark Public Library and Bridges Outreach to host the “Shaping Lives 2018: Links to Homelessness Services” fair for people affected by homelessness on Wednesday, October 10, at 10 a.m., at the Newark Public Library’s Main Branch, located at 5 Washington Street, in the city’s downtown. More than 25 providers of health, nutrition, shelter, and other services will be present. In addition, participants will be offered free haircuts, manicures, clothing, toiletries, snacks, and other useful items and services. Audible will provide free lunches. “Homelessness is a tragedy that is affecting Newark as it is affecting every community in the nation, and indeed the world. Here in Newark, we are determined to end this cycle of pain and tragedy and bring real hope, empowerment, and dignity to this population, through love, compassion, and commitment. The homeless population of Newark are not statistics or issues. They are our fellow Newarkers, and we will treat them with the respect they deserve,” Mayor Baraka said. As the City is emerging from a recession, it continues to harbor increasing numbers of people who are homeless: on the streets and railroad tracks, in public parks, in abandoned buildings, and in empty lots. Many have jobs but not enough money for rent. Winter hardships are approaching, and this event will inform homeless persons of services to help them to receive food, showers, laundry, mental health therapies, pediatric care, prison discharge services, drug abuse counseling, health screenings, transportation, immigration and naturalization guidance, shelter, and more. 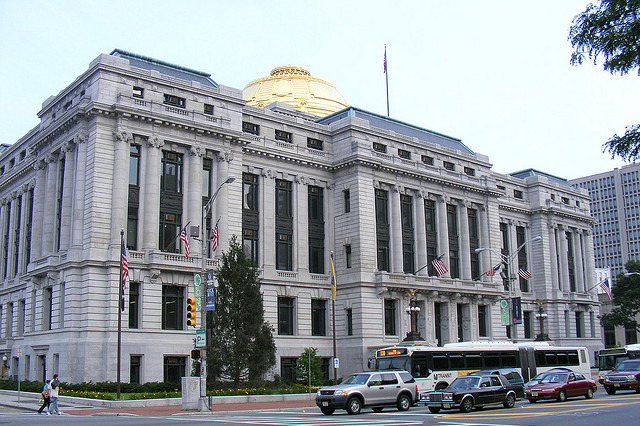 The Newark Public Library is New Jersey’s largest municipal library, providing collections and services at the Main Library and seven branch libraries located in neighborhoods throughout the city. The Library serves as a gateway to knowledge and lifelong learning for diverse audiences. The Newark Public Library has partnered with the Rutgers University School of Social Work to engage a student social worker to assist visitors with counseling and referrals to social welfare agencies and organizations. This event is co-sponsored by the City of Newark, Bridges Outreach, and the Newark Public Library.